This is a guest article by Melissa Lobo of Project Female. Teamwork: the act of bringing several individuals together in order to efficiently and effectively complete a project. Project managers know that cooperation boosts productivity and is beneficial in a team environment. Teamwork is an enabler for the smooth running of projects. It speeds up the achievement of targets and helps project professionals overcome obstacles. Teamwork ensures that resources are well-managed and less time is needed to complete a project. Good teamwork can contribute to economising, more successful project outcomes and ultimately higher profits. It also adds to the quality and individuality of projects. Not convinced that you need to focus on building your team? 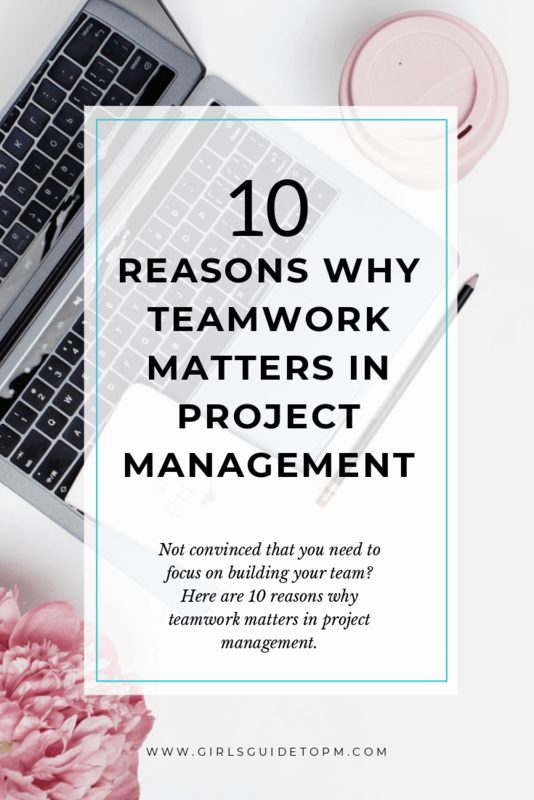 Here are 10 reasons why teamwork is vital to effective project management. When people work together, you’re creating a better environment for creativity. That happens naturally when there is a lot of brainstorming and sharing ideas. With each team member contributing unique ideas, you can acquire more effective strategies for completing the project. Your team members have a lot of shared knowledge between them: use it. Working as a team encourages risk-taking. When you shoulder the responsibility yourself, you may be inclined to take fewer risks because the personal and professional consequences of failure. In a team, you have support from other members in case things fall apart. Remember, as a professional project manager, good risk management can help you mitigate the risks you take on a project by helping you assess the impact before you go ahead with a particular course of action. A team is made up of unique individuals. This diversity helps in project success but can also lead to disputes. Project managers and team leaders should step in to resolve the conflicts, and in most cases, they need not involve the organisation management. You can build your skills in conflict resolution in this way, and help others in the team to do the same. Teamwork requires a healthy relationship that can only be built through trust. Trust is built by relying on each other. Through trust, members feel free to share ideas. You can create a trusting environment in the team that gives them the space to support and encourage each other. An open relationship is built, leading to high productivity. Trust also increases your confidence in your own abilities as the project manager and helps you build personal credibility. Teamwork brings together complementary strengths. You may be good at planning and another team member might be talented in coordinating and creative thinking. Have you done an MBTI assessment with your team or looked at Belbin’s team roles? These would be great tools to give you an insight into the diverse strengths of the people you work with. When you bring various strengths together – and use them – this can lead to more successful project outcomes. Each member brings their talents to the table. There are days when you don’t feel like giving it your all when working alone. Working on a project as a team helps you feel more accountable. It’s the informal peer pressure; the feeling that you don’t want to let your colleagues down. When you are working with people you respect, you don’t want to disappoint them. It’s not a surprise that teamwork speeds everything up on a project. You simply couldn’t get through the amount of work that is required if you were working by yourself. Plus, you wouldn’t have the skills. When you have the right people on the team, you can fly. Deadlines that seem insurmountable are suddenly achievable with the right people, and the right attitudes. When you work together, you can take advantage of those time savings to do things right, and to invest time in activities that also help grow your career, like professional development. Deadlines that seem insurmountable are suddenly achievable with the right people, and the right attitudes. When working on a project, you need to get feedback on your progress to know whether you are moving in the right direction. 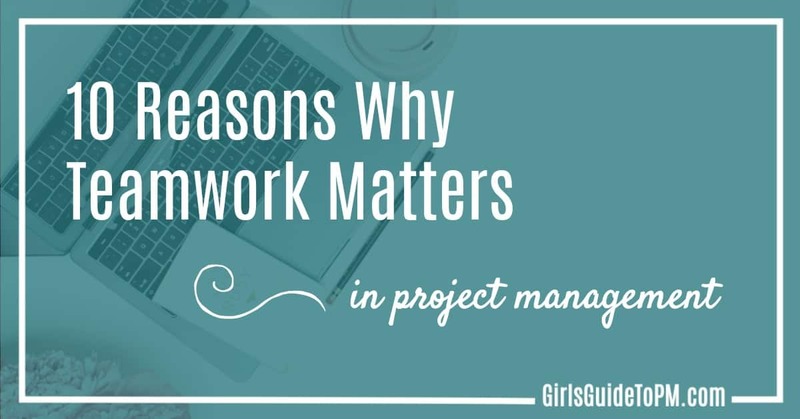 You do this through regular team meetings, conversations with key stakeholders, and your Project Board meetings. When you work as a team, it’s easier to get informal feedback day to day, and to stay more closely connected with the project’s customers. There are more of you, so it’s easier to listen to a broader group. As the project manager, ask your team to be on the alert for formal and informal feedback from each other and your clients or customers. Then share with everyone on the team so you can act on it. There are complex problems that are encountered in the progress of a project. You can’t resolve issues alone – but you can with the wisdom of your team. Involve your subject matter experts. Working together as a group leads to the generation of new ideas. Someone might come up with the perfect idea to address the issue you face. Teamwork brings different skills to work together on a particular project. Everyone has something that they can contribute – some useful ability. 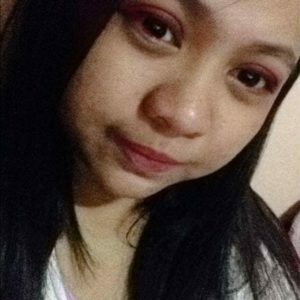 Find out what people are good at if you don’t know. Then play to their strengths. Surround yourself with people who complement your personal strengths so that you have all the skill and knowledge bases covered. It’s common to think that in every teamwork there must be a team leader who ensures that project tasks run smoothly. However, you’ll find that in cooperatives, and self-organising agile teams, the role of “leader” is less clearly defined. In some cases, you’ll encounter teams where they deliberately shy away from appointing someone in the role of leader. Everyone can build and use leadership skills in a team environment. You don’t have to be the person nominally in charge to step up and demonstrate leadership. You can lead both as a project manager and someone in the project team. Lead your area. Lead your tasks. Provide leadership support to your colleagues when they need you to step up. Today, leadership is considered far more flexible a skill, and required by so many more job roles. We say that understanding teamwork is one of the best things that can happen to you as a project manager. If you are working on a project and you want to get it done quickly and effectively, knowing how to get the best out of your team is going to get you there. What can you do differently to improve the quality of teamwork on your project? How can you bring people together? 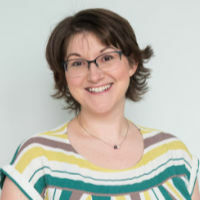 About the author: Melissa Lobo is a young and energetic writer, a mum to a sweet little boy, and a fur-mum to two perfect pooches. Before becoming the Associate Content Director for Project Female, she was a journalist specialising in topics related to women in politics and policy affecting women. Let me ask a question about how to become successful project manager from a software developer. Good stuff, I like your post.